Unabridged Andra Reviews Bleddyn Hall + Giveaway! “I love a good plot twist and Bleddyn Hall is far from the expected kind of story of this time period. Read the full review HERE and #EntertoWin an ebook copy of Bleddyn Hall! 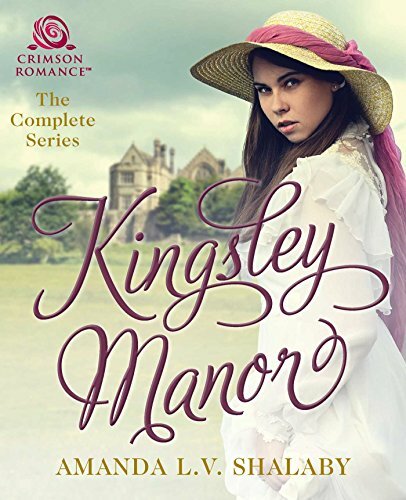 Bleddyn Hall is the third book for Amanda Shalaby, and I have been lucky enough to read her previous two historical romances. Having read two books by Ms. Shalaby I was eager to get started on Bleddyn Hall and in my opinion I’d say she has another hit on her hands. Bleddyn Hall is filled with everything I’ve come to enjoy in an historical romance. Blossoming love, courting, fancy balls and gowns, a dashing hero and feisty heroine, all with a perfectly good mystery thrown in… The the FULL REVIEW HERE! Find me today on the Summer of Love website discussing some of our favorite love triangles in literature history! Think King Arthur, Queen Guinevere and Lancelot. Rhett Butler, Scarlett O’Hara and Ashley. Professor Bhaer, Jo March and Laurie. And that’s just a few! Come read about some of our more modern day examples and tell us a few of your own HERE! While you are there, don’t forget to Enter the Contest for a chance to win one 3 Grand Prizes—one print romance a week for the entire summer! But that’s not all! We’re also giving away packages of 5 print books to three other winners! Summer of Love Blog Hop & Giveaway Has Begun! Who are we and what is this? We’re a group of romance writers who want to share our love of romance! We came up with the idea to give away one print romance a week for the entire summer to three lucky winners. That’s 16 books for each Grand Prize winner—an entire summer’s worth of love and passion. But that’s not all! We’re also giving away packages of 5 print books to three other lucky winners! The contest opens on April 1 and ends May 15, 2015. The winners will be drawn randomly, and we’ll let winners know as soon after May 15 as we can that they’ve won. Each Monday for the sixteen weeks of summer—from Memorial Day to Labor Day—we’ll send out one print book to each of the Grand Prize winners. The second-prize winners will get their collection of 5 books shipped in one package as soon after May 25, 2015 as we can get to the post office. Please read the full Contest Rules for all the legal stuff. To enter, go to the Enter the Contest! link, and pop in your information using the entry form there. Your entry adds you to the contest hopper and signs you up for Jennifer Lawler’s newsletter. J Law writes romances under three pen names, and she wants a little love for all this effort. You can improve your odds of winning by entering more than once, but the only way you can enter more than once is to give another romance author a little love, and you can do that by following the directions on the Enter the Contest! page. You can sign up for other newsletters, like a Facebook page, or follow a blog—and each action gives you another entry into the contest. Over there on the right-hand navigation menu, you’ll find all the authors who are participating in this giveaway, plus information about their books. Enjoy!